Not all Australian children grow up safe, happy and healthy. National children's charity Good Beginnings provides free early intervention and practical parenting programs for disadvantaged children and their families. Support ranges from supported playgroups and literacy programs like Play2Learn and Learn2Grow, to fathering initiatives, at-home volunteer visiting for new parents, and intensive family support. Good Beginnings now have over 160 programs across every state and territory in Australia, based at Good Beginnings Child & Family Centers or at partner primary sites. Since 1997 Good Beginnings has helped over 45,000 young children and their families through early intervention and practical parenting programs. On Sunday 5th of May 2013, secrets of the Sydney CBD and foreshore will be stalked and conquered, as tribes battle it out, armed only with a map, clue sheet, mobile phone and their wits. Will your tribe reign supreme? Tribes have 4 hours to solve riddles and complete the challenges of the quest - early cooperation and lateral thinking will decide the winner. 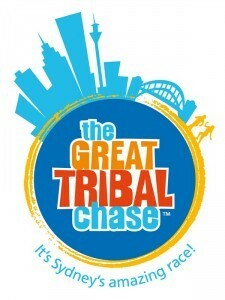 Tribes will race against the clock, each other and the unknown to win fundraising prizes, spot prizes and more.